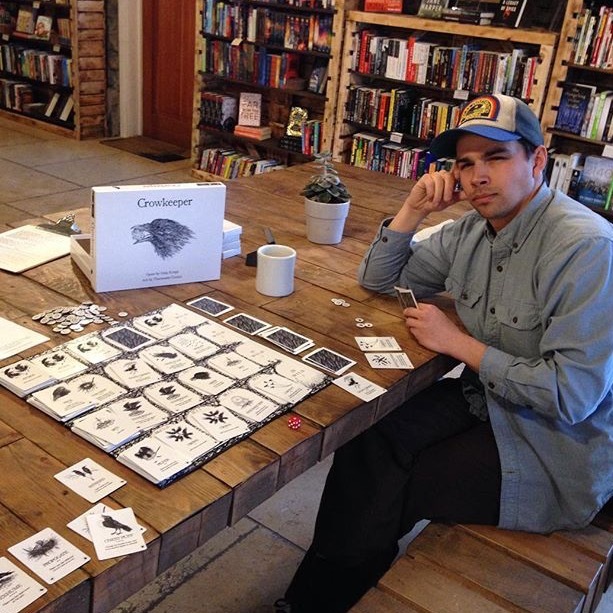 Today we are featuring Greg Krupp, designer of Crowkeeper. Greg lives in Ulster County, New York where he studies Geographic Information Systems at SUNY New Paltz. Many moons ago, he worked as a carpenter in Woodstock, NY and lived in glorified squat houses with multiple beer-soaked copies of Cities and Knights. Out of that questionable scene, a small contingent of cardboard gamers formed that have all been critical to the development of Crowkeeper. 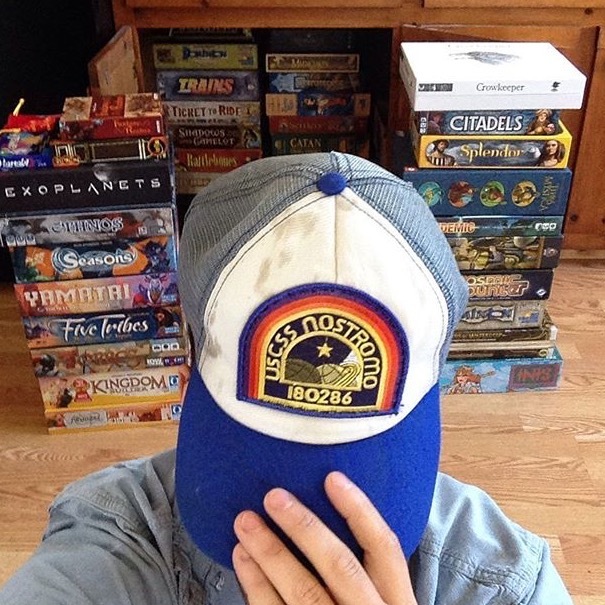 He joined a co-housing community just to lock in a consistent board game group. The community is in its infancy, seeking to buy a plot of land and build houses on it. Greg’s only in it to play games though. Greg eats somewhere around 365 cans of sardines per year. Questions by Kimberly Revia (KR), answers by Greg Krupp (GK). KR: What part of the design process do you find to be the most difficult? GK: Well, I want to make sure that the person who is clearly losing can still enjoy the game and feel like they have a way to catch-up. So I think the hardest part is designing catch-up mechanics that aren’t clunky. 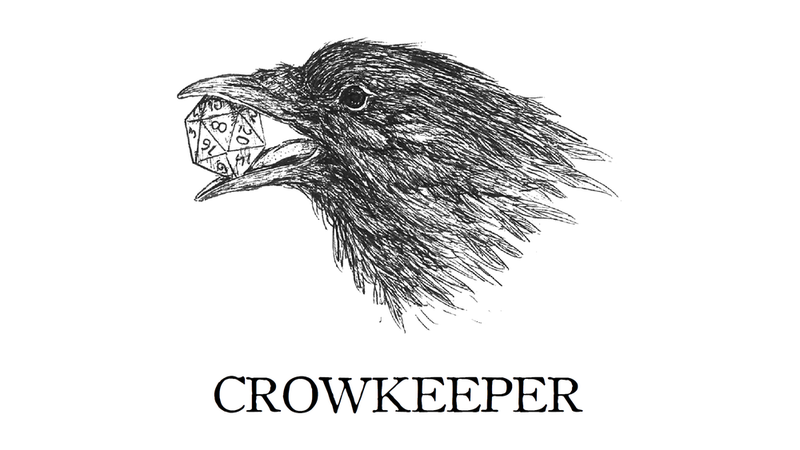 KR: Is Crowkeeper your first foray into game design? GK: Yup. I had some other ideas that became prototypes around the same time as Crowkeeper, and they were all bird themed. But I chose to develop Crowkeeper first because I knew this would be a long process, and I felt like I could live with it for a few years. Luckily, I haven’t gotten sick of it yet! KR: Where did the concept come from? GK: Okay, so it came from a desire to play TCGs with people who didn’t want to play TCGs. I wanted to design an aggressive hand management game that my friends would enjoy and I could teach people quickly. Then I had my eureka moment in the bathtub when I thought of the board. So it was mechanics first, then theme. KR: If you could have any super power, which would you choose? GK: Teleportation, no question. Honestly, it doesn’t even have to be a superpower. I’ll one hundred percent be part of a test group for teleportation pods and risk fusing my DNA with a fly. I sympathize with Seth Brundle more than I do with most fictional characters. RIP Seth. KR: What does your ideal game night look like? GK: My friends and I get together at 8:00 AM with the purpose of designing a game in a day. We play some short games throughout the day, like Fantasy Realms or Biblios. By the end of the day, we have a rough prototype that we’ve playtested and revised multiple times. Also, we only listen to Kraftwerk for the entirety of the design process. KR: Is there any artist you would love to work with in game design? GK: Without a doubt, it’s TRONVS Fortunately, this is a pretty attainable goal for me because he’s a close friend. I’m surrounded by artists in the Hudson Valley, many of which love the tabletop. My friend Thorneater did the art for Crowkeeper, and I want to work with as many local artists as possible moving forward. You can find Greg and what he is currently up to by clicking the links below!